Internet Desk: Sachin Tendulkar is one such legendary batsman who is fondly called as the God of Cricket. 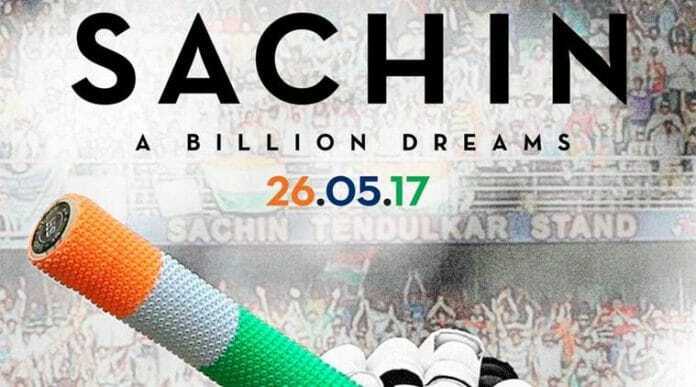 It’s a known fact that the biopic of Sachin Tendulkar is going to be released soon with the title ”Sachin – A Billion Dreams.” The trailer release date of this much-awaited movie is reported to be April 13th, 7 in the evening. Carnival Cinemas which is producing this project released this information on their official Twitter account. The release date is expected to be May 26th, and the team is working hard to reach the target. As MS Dhoni: The Untold Story which came as a biopic of Former Indian Cricket team Captain M.S.Dhoni became a blockbuster, the same expectations are on this movie too.